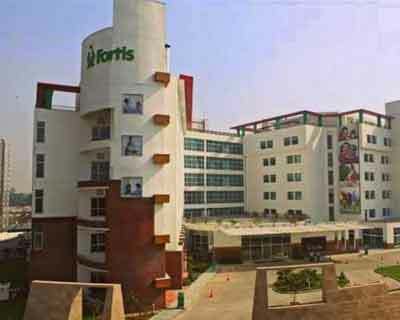 The Delhi Medical Council (DMC) has ordered an inquiry into the case of alleged medical negligence at Fortis Hospital here even as the hospital authority has sacked five of its staffers, including two orthopaedic surgeons, in this connection. The family of a 24-year-old youth have accused doctors at Fortis hospital Shalimarbagh of wrongly operating upon the left leg of him instead of the injured right leg. The DMC, which has taken suo motu cognizance of the matter, will conduct an inquiry and take appropriate action, DMC Secretary Girish Tyagi said. “A Delhi Medical Council team will visit the hospital tomorrow and go through all the documents. We will also hold conversations with the staff and doctors who were present during the surgery at the operation theatre. “The hospital may have sacked the doctors and staffers at fault but they will join some other hospital. So we have to conduct an independent inquiry. If found at fault, their licenses will be cancelled,” said Tyagi. Ravi Rai, a resident of Ashok Vihar was taken to Fortis Hospital on Sunday after he slipped from the staircase. Tests found that he had suffered fracture on his right foot and the doctors said that his condition required surgery, his Father Ramkaran Rai said. Delhi police registered an FIR in connection with the matter. “An FIR under Sections 336 (endangering life through negligence) and 338 of IPC has been registered,” a senior police official said. Doctors, however, operated upon his left leg wrongly and put multiple screws inside the left foot instead of the injured right one. It was when Ravi gained consciousness that they realised about the wrong. Fortis issued a statement saying that “following yesterday’s (Monday’s) incident, we immediately set up an expert committee to enquire into the matter. Their preliminary view suggests that in the rarest of aberrations, the operating team may have disregarded and sidestepped due processes. “We take our obligation to our patients very seriously. As this is a zero tolerance area for us, the services of erring doctors and OR personnel (five) have been dispensed forthwith,” it said. The statement added that action against some others was also being contemplated, pending inquiry. Meanwhile, Ravi, a CA student, was yesterday shifted to Max Hospital where he is undergoing treatment.